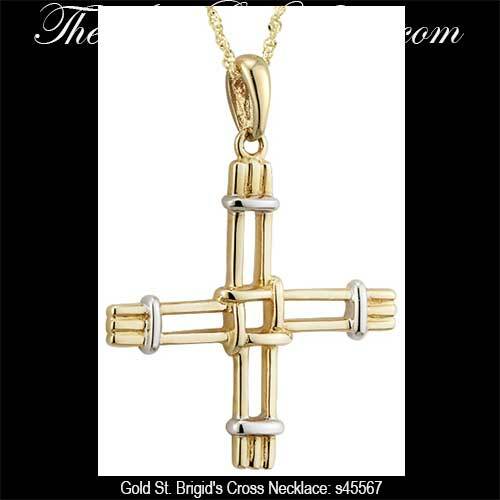 This 14K gold St. Brigid's cross necklace is enhanced with white gold accenting. 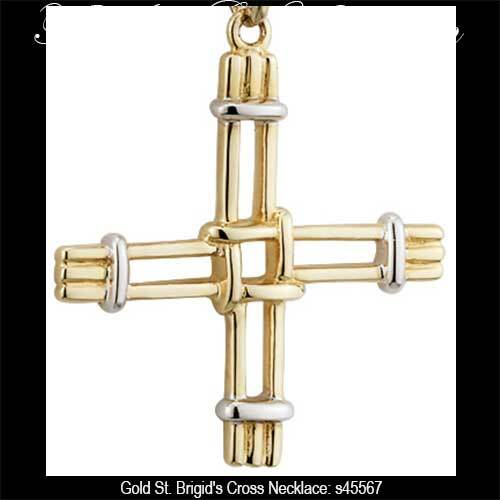 This St. Brigid's cross is a 10K gold necklace with an open design that is enhanced with white gold accenting. The St. Brigid's cross pendant measures 3/4" wide x 1” tall, including the jump ring and the bail, and it includes an 18" long 10K yellow gold chain.